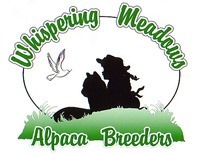 Whispering Meadows Alpaca Breeders is an alpaca farm located in MOUNT AIRY, Maryland owned by Lisa M German. Everything is coming up bunnies!!! Call 301-452-9460 and talk with Lisa to schedule a visit to the farm! Come check out the animals and the store!! We started our farm in 1999. 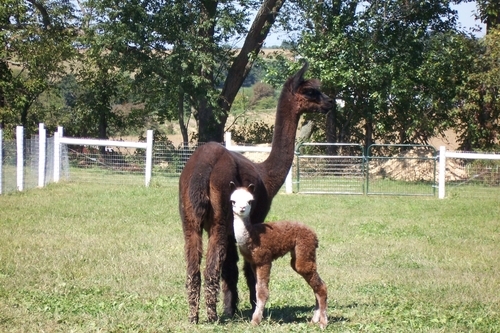 It started with boarding two alpacas to a farm of our own with over 35 alpacas. Our farm was started to give our girls the experience of raising livestock. 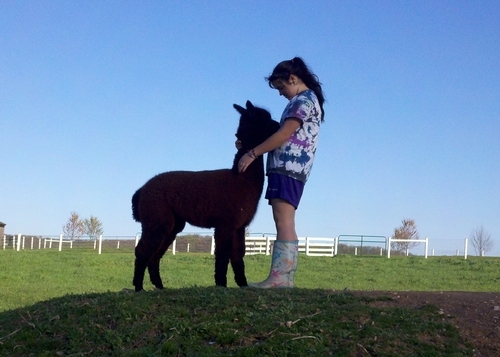 We have expanded our farm to alpacas, cattle, hogs, chickens and a Texas Long Horn named Charlie. 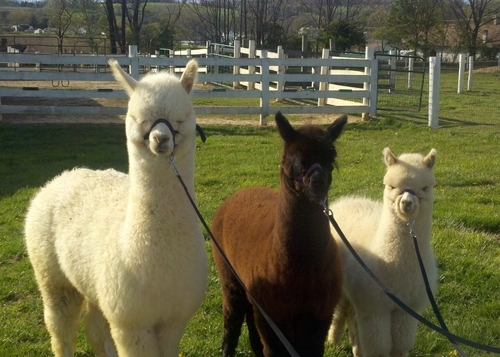 We started the first Alpaca 4-H club in Frederick County, MD. The kids come out to the farm and work the alpacas. 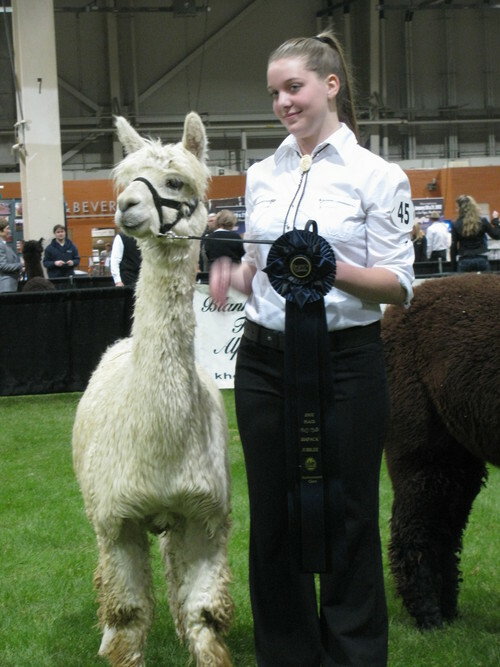 They train for showmanship, obstacles, public relations and costumes. List of our upcoming shows is located on our store page!